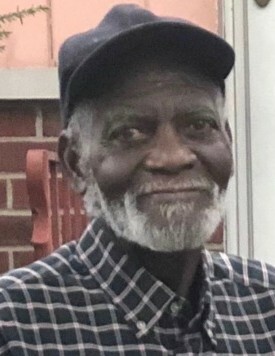 Johney Frank Collier, 69, gained his wings and returned to the Most High on Friday, January 18, 2019. He was born June 26, 1949 in Sparta, Georgia. He worked actively on railroads that stretched between Sparta, Georgia and Cincinnati, Ohio. In the midst of working on the railroads, he found his love for construction in which he worked diligently for over 30 years. He retired from construction in the Spring of 2018. Johney leaves to cherish his memory son, Johnny Dunn; three daughters, Renee Dunn, Lachande Dunn and Alodie Holliday; two granddaughters, DeAsia Dunn and Janai Dunn; one great-grandson, Carter Willis; special friend, Doris David, whom he spent the last ten years of life; as well as, a host of loving family and friends. He was preceded in death by his mother, Virginia C. Jennings and brother, Jackey C. Collier. Visitation will be held at 2:00 p.m. until the time of service on Saturday, February 2, 2019 at James Temple Church of God in Christ, 1116 Lincoln Ave, Cincinnati, Ohio 45206 with funeral service beginning at 3:00 p.m. In lieu of flowers memorial contributions may be made by phone to the Jerry W. Kinley Funeral Home.